If you love mixing and matching patterns, coordinating colors, thinking of the functionality of a space and working with people, you may want to consider an interior design business. The design business enjoys strong demand as people continue to buy or move into new homes, and remodel old ones. According to Home magazine, 46 percent of Americans plan to redecorate or remodel in the next five years, compared with 35 percent in the previous five years. 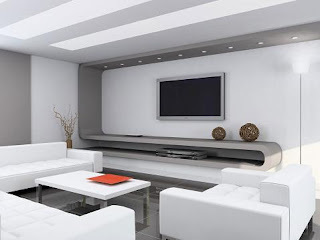 The interior design business is a go-out of your house kind of home business. While doing the business aspects inside the home, most of the sales will be done at the client's home or office as you evaluate the space, match color swatches to existing furniture and measure windows for draperies, etc. The American Society of Interior Designers defines an interior designer as someone "professionally trained to create a functional and quality interior environment. Qualified through education, experience and examination, a professional designer can identify, research and creatively resolve issues and lead to a healthy, safe and comfortable physical environment." The keywords here are "professionally trained and qualified." Regulations dictate that only those who have met or exceeded a certain level of accredited education and, in some states, passed the qualifying exam administered by the National Council for Interior Design Qualification can use the title of Interior Designer. In 18 states, they must be licensed before they can be called an Interior Designer. If you do not have the qualifications and education, you can still work on the interior design business but you would call yourself as a Decorator instead. The design business is multi-faceted. You can either work as a product-driven designer or as a design consultant. The product-driven designer is a hands-on designer who combines the task of conceptualizing the look of the given space with marketing a wide variety of products. This is the common track of start-up designers. The designer often markets various products and even offers free design advice if the client buys all of the products from him or her. Buyers of their products are often allotted a certain number of hours of free design advice; if more time is needed, a per hour fee is charged. A product-driven designer also charges a per hour rate to customers who seek their advice but buys products from another company. A hefty percentage of the designer's income is generated from product sales. If you have worked in the business for a long time with an established reputation and a long list of references, you can focus on offering design-consulting services instead. You will not sell or market any product, but instead offer advice about the design of a room or an office. You are selling your design expertise, and not any product. There are two types of market for interior design: residential and commercial. Residential interior design focuses on the planning and/or specifying of interior materials and products used in private residences. In terms of scope and contract amount, residential jobs are often smaller, but offer a higher profit margin particularly if you are marketing the products to be used in designing the rooms. Commercial jobs, on the other hand, are often much bigger in scope but the bidding that often accompanies the contract can push down your profit margin. Commercial design covers a wide variety of specialties, such as entertainment (e.g. movies, theater, videos, theme parks, clubs, dramatic and musical theater); facilities management (e.g. office moves or expansions); government/institutional (e.g. government offices, embassies, museums), health care (e.g. hospitals, nursing homes, long term care facilities); retail or store planning (e.g. boutiques, department stores, malls, food retailing centers); hospitality/restaurant (e.g. country clubs, hotels, cruise ships); and offices. An interior design business requires basic office supplies and equipment such as computers, telephones, and fax. In addition to the standard word processing and spreadsheet software, invest in AutoCAD software to present more professional looking design solutions to clients with three-dimensional realism. AutoCAD software can cost from $600 to $1,400. You also need to buy books of samples, which are the lifeblood of a design business. Manufacturers of wallpapers, paint and carpets produce samples costing about $250 each representing various products in all sorts of design and colors. Try negotiating with sales representatives, as they can give some of these sample books for free, particularly if they see the potential that you can sell their product. When looking for samples, be careful of companies that will require you to purchase preselected samples on a monthly basis - even if you don't need it. The assumption is that you run a showroom to keep all the unused samples. Wallpaper and large fabric companies are particularly notorious for this practice. Fixed fee (or flat fee) -- The designer identifies a specific sum to cover costs, exclusive of reimbursement for expenses. One total fee applies to the complete range of services, from conceptual development through layouts, specifications and final installation. Hourly fee - Some designers charge based on the actual time spent on a project or specific service, with fees ranging from $35 to $125 per hour. Percentage fee -- Compensation is computed as a percentage of construction/project costs. Cost plus -- A designer purchases materials, furnishings and services (e.g., carpentry, drapery workrooms, picture framing, etc.) at cost and sells to the client at the designer's cost plus a specified percentage agreed to by the client. The service charge is often put at 20 percent. Retail - Others charge their clients the retail price of furnishings, furniture and all other goods they get wholesale, keeping the difference as designer's fee and services. Retail establishments offering design services commonly use this method. With this method, clients get the designers services at a price no greater than he or she would have paid for the products at retail. Per square foot - Often used for large commercial properties, the charge is based on the area of the project. Some other designers require a retainer fee before the start of a design project. A retainer is an amount of money paid by the client to the designer and applied to the balance due at the termination of the project. Designers that offer free cost estimates charge for the measurements made, if customers do not intend to use the designer plan and request for the measurements. What is unique about the interior design business is that you never do the same job twice. It will be hard to place a specific price on individual projects. What you will earn from a job that requires redecoration of an entire room from the carpet, wallpaper to upholstery will be different from a job that requires you to put up drapes to ten windows. If you are totally fed up of your mobili per ufficio (office furniture) and wish to rejuvenate your office interiors, then it is time for you to log in to the website http://www.momi.it. Almost all types of furniture solutions are available with Momi and as soon as you submit your order with Momi, your furniture requirement would be taken care of at the earliest.